Jan. 31, San Francisco–Consumers can finally say goodbye to paying for the San Onofre nuclear plant under the terms of a new agreement relieving customers of an additional $873 million in charges. The agreement adds to a previous settlement approved by the CPUC in 2014. The CPUC moved to reconsider the reasonableness of that agreement in light of evidence showing pervasive impermissible private contacts between SCE executives and former CPUC President Michael Peevey. TURN worked closely with other consumer representatives to reach the new settlement, which is supported by all active parties in the case. The net impact of the prior settlement and the new agreement would result in utility shareholders being responsible for $2.3 billion with ratepayers having paid $2.4 billion. “We’re pleased that under the settlement, collections from customers stop in mid-December 2017. All money collected from customers after that date will be credited back to customers once the settlement is approved,” Toney said. The benefits from the new settlement are in addition to those obtained in the 2014 settlement that denied Edison and SDG&E rate collections of over $1.4 billion sought in their litigation claims at the CPUC, including the costs of the botched replacement steam generators and approximately $100 million in inspection costs. 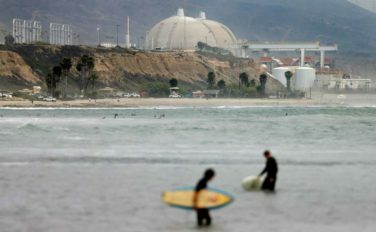 • Edison and SDG&E forego recovery of $775 million in past investments in San Onofre. Had those costs been collected in rates, customers would have paid $873 million between 2018 and 2022. Edison remains responsible for $16.74 million in sanctions imposed by the CPUC in 2015 for private discussions with regulators that violated the Ex Parte rules. Customers keep $370 million in credits from payments by Nuclear Energy Insurance Limited.